Id like to introduce everyone to meet Author Bette Maybee. I had the pleasure of Reading her Debut Ya Novel Phoenix- The Rising and have to say I was blown away. I truly enjoyed it. 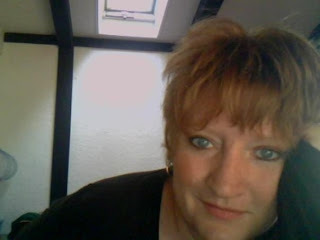 So I have asked Bette to stop on over to Page FLipperz today, To give us a little insight into herself and her novel. Bette has also wonderfully donated an e copy of her book to one lucky winner. Firstly the book cover and Blurb ..
My heart was heavy but certainly happy and curious , and my mind going one hundred miles an hour trying to work out which direction this author may take us in the next instalment. I have personally not read many books on Phoenix's and this one is truly a unique story. It captivated me till I had turned the last page, and had me grasping at my pages at many suspenseful and emotional turns. I enjoyed his power, yet his caring attitude, his love, and his overall character. Julie Mason was a strong character; I had a heavy heart at times for her, coping with things in life not every teenager experiences. But, then she meets Eli, and gains a new best friend as well as love. Her character was shown with definition and depth and even in her darkest moments she didn't think of herself but who she may have to leave behind or possibly never see again. The romance between Eli and Julie was sweet, endearing and most definitely romantic. I got a little choked up at times. But also had butterflies.The relationship was paced at a gradual pace, no rushing into it and certainly working up the reader to want to find out more. I have to say those last few chapters had me worried, and very sad... and I was certainly torn towards Lucy's character, I really didn't like her through most of the book but that certainly changed. Her character was well put forth. Many twists and turns are woven throughout this story and you certainly won't see them coming, moments where you will be teary eyed, your heart racing and mouth agape and possibly some ahhhh moments. The myth that Bette has written in her story is one of a kind. A fiery rebirth every 300 years, a mother chosen to guide the Phoenix and the also the danger of having green eyes and fiery red hair. Nephilim who are hot yet seriously dangerous, and a calling for some and end for others. But that certainly is not all.!! The authors writing is crisp and well written and certainly engages the reader at every page turn. Phoenix - The Rising is a thrilling, intense, roller coaster ride that is romantic, suspenseful - yet emotionally touching. The characters breathe a life within the pages and the world that Bette has crafted is so well envisaged and written , I felt like I was right there inside the book right till I had read that last word. Author Interview with Bette Maybee. 1. For anyone who does not know Bette Maybee, would you please tell us something about yourself? Sure! I've lived most of my life in the Midwestern US with my husband, Tim, eating corn-on-the-cob and tipping cows. (JK—I've never tipped a single cow, although I do moo at them whenever I get a chance!) I have three fantastic kids, Allison, John, and Tim, and am a mother-in-law (the good kind) to Tim’s beautiful wife, Pippi. After surviving a fifteen-year career as a middle school Science and Language Arts teacher, for which I deserve a MEDAL (come on high-schoolers, you know I'm right! ), I now spend my days assisting university faculty, who, thank goodness, don’t have a habit of doing the gallon challenge as my former charges did and are easily tamed with a bowl of Jolly Ranchers. Phoenix: The Rising is my first published novel and won't be my last! 2. Who or what has been the biggest influence in your life and why? That's easy.The two Stephen's...Stephen King and Stephen...ie Meyer. I'm a huge King fan and always thought if ever started writing, it would be in the horror genre. Then Stephenie Meyer entered my life in early 2009. It was in the midst of reading the Twilight saga with my daughter that the writing bug bit, latched on, and wouldn't let go! I loved her storytelling...the romance...the paranormal element...the Edward Cullen!! and I thought This is what I want to write! Of course, King wasn't dead and buried yet. When I wrote my first delicious death scene, I knew that I really did have a bit of horror writer in me! 3. What inspired you to write the Phoenix - The Rising ? I LOVED the idea of the Phoenix, so I researched the legend in different cultures. In one, Phoenix is a fallen angel. That got me thinking about the Nephilim in Genesis 6. When I reread that part of the Bible, the word "giant" jumped out at me, and I wondered if there was a Native American legend about giants. I simply googled Native American Legends, got a list, and worked my way through it until I hit paydirt. When I read the short Paiute legend called The Lady and the Giant, everything clicked and I could see all three legends woven together, which resulted in the legend you read in chapter three of Phoenix: The Rising. I researched the Paiute's of California, found my location and the perfect spot for the Phoenix's rebirth, and my story was born! 4. How many books do you have planned for this series? Right now my plans are for just two, Phoenix: The Rising and Phoenix: The Legacy, but....you never know. As always, I'll have to let the story decide! 5. What is your current wip ? I actually have several I'm working on. The second in the Phoenix series, of course. I've decided to call this one Phoenix: The Legacy. This is the first time I've announced the working title publicly, although I did spill the beans to one reader a few weeks ago, but swore her to secrecy! LOL I'm also working on a YA contemp called The House on Carroll Street (read an excerpt here), another YA paranormal called Used Things, and a romance series called The Tip Top Café: Four Sisters. 6. Have you written any of your characters in your book to anyone you know? 7. Why YA paranormal romance? #1--It's Stephenie Meyer's fault. #2--I spent 15 years teaching teenagers. #3--I found out after cutting my writing teeth on my first novel that my style and voice is more young or new adult. #4--It's also Stephen King's fault. 8. Any advice to new writers? Persevere. The publishing road is long and hard, but it's also exciting, and depressing, and exhilarating! Don't give up and always listen to what the reader's want. 9. Anything you would like to share with the readers about your writing? Aka when do you like best to write and where? I write in the evenings, on weekends, and during holiday. It's what I love to do and is more of a vacation to me than hopping in a car and going somewhere. I like to write in a quiet spot by myself with no distractions, but our new place has neither, so my husband is thinking of setting up a special writing spot in the basement for me. Right, honey...Honey?? Favorite Flower: Stephanotis (another Stephen!!) Aren't they gorgeous?? Last Movie You Saw: Warm Bodies!!!!! Night or day: Night, definitely! Big Thank you to Bette for answering my Questions.